Events in Somerset in October, November and December, with late autumn and winter time comes colder weather and dark nights. Dark nights bring the sparkling winter carnivals. Fireworks!! Christmas markets, Santa. Dunster by Candlelight. For those who still love to be active there are still cycling, running and walking events. The Dairy Show will be held on 2nd October 2019 at the Bath and West Showgrounds. For the dairy industry this is one of the most important dates of the year. Wells Food Festival 13th October 2019. Wells Festival of Literature TBC. All venues are within walking distance of the Cathedral. The Exmoor Stagger and the Exmoor Stumble Minehead. TBC. Organised by the Minehead Running Club. The Stagger - Challenging Off road course with some tough climbs from Minehead to the highest point on Exmoor. The Stumble - shorter but just as challenging! Antique & Collector's Fair at the Bath & West Showgrounds, Shepton Mallet on 8th to 10th November 2019. Bath Mozartfest 8th to 16th November 2019. Several venues in Bath. Bath Christmas Market Dates for 2019 to be confirmed. In that quaint area between the Abbey and the Roman Baths. Just right for Christmas shopping! Magic. 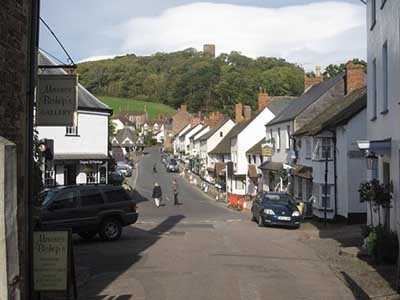 Dunster by Candlelight Every year on the first Friday and Saturday the 6th and 7th of December 2019 this delightful medieval village in Exmoor, holds two days of enchanting candlight shopping, eating, a lantern procession plus much more. It is so popular that you cannot park in the village, please use the Park and Ride! The event is on 7th and 8th December 2018. Dunster is an active little village in North Somerset on the Bristol Channel. Dunster Park and Heathlands is an Area of Scientific Interest. The town has a lot of listed buildings. Shepton Mallet. A good centre for touring the Mendips. It is a nice small rural medieval town. The Bath & West Showground is close by. Wells. A beautiful old Cathedral city. The Cathedral and the old Bishop's Palace are good places to visit and there other medieval places in the city. Minehead is a coastal town in North Somerset. Gateway to Exmoor. Gateway to the South West Coastal Path, a stunning footpath that runs right round Cornwall, Devon and Dorset. Weston Super Mare. Another delightful North Somerset town, It is on the Bristol Channel and has a wide beach. Tide goes out a very long way. Bib Hope lived in Weston as a child. Ashton Court. 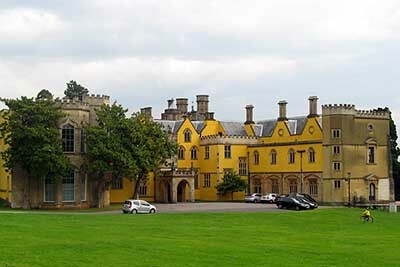 The Bristol Council own Ashton Court. The mansion is a Grade 1 listed building. The estate is Grade 11 listed. This property is an excellent venue for several good events. Bath. A very lovely city. A World Heritage site. Says it all really. Would make a great romantic winter break. Georgian architecture and the Romans too thought well of the place! Porlock is a coastal village on the edge of Exmoor. Makes a good place to plan a few bite size walks on the South West Coastal Path. 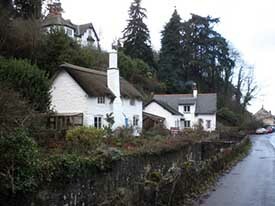 Visit Porlock Weir which is a little harbour. Highbridge and Burnham on Sea Carnival 5th November 2019. Weston Super Mare Carnival 8th November 2019.